A major, North American, consumer finance company with a substantial store network focused on the subprime and near-prime market. Sub-prime lending products ranged from APR 42%-116%, with a term up to 5 years. Loan amounts ranged from $500-$5,000. Near-prime APR ranged from 26% – 38%, with a 3-5-year term, with loan amounts from $5,000 to $15,000. The client had accumulated a substantial amount of predictive data. However, risk management, underwriting, customer lifecycle management had been built around the offline business. So operations were predominantly manual. Operational controls were state of the art, with mature know your client (KYC) validation and verification systems and procedures. Customer satisfaction was high due to a strong relationship management approach and culture. The client wanted to rapidly implement intelligent automation and at the same time, accelerate the transformation of its consumer financial products from offline to digital. The implementation approach was based on our Minimum Viable Product (MVP) implementation methodology, followed by phased productionalization, system training and monitoring. Acquired Insights analyzed the offline and online loan portfolio. Models Library standard models were used to baseline the current business KPI’s and estimate the potential uplift possible by applying the robo-underwriter. Models Library default models, based purely on client application data for new and returning offline customers, were applied to the portfolio. This highlighted underperforming segments in the portfolio and inefficiencies in the existing underwriting process. Note: each segment represents 5% of the portfolio population. Initially, the offline portfolio was significantly larger than online. The Models Library online default model was applied to the online portfolio, exposing underperforming segments. After the baseline KPI's were calculated, portfolio data was enhanced. Credit bureau and bank statement data was added to the application data. This allowed the Models Library model capabilities to be used more fully and achieved a significant uplift in predictive quality, as shown below. Models Library fraud models uncovered further fraudulent CSR activity at the stores. To address this, automated underwriting processes were introduced, substantially removing CSR’s from loan approval decisioning. Affordability controls and models were also introduced using Models Library and Decision Engine. 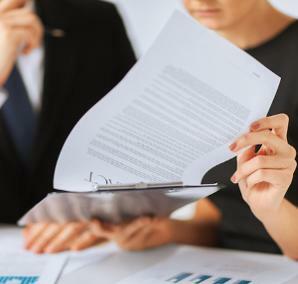 This was necessary in order to improve the quality of underwriting decisions, reduce and control frauds, and comply with the regulatory framework. This was applied to both the online and offline business. Models Library limit management models were also deployed for all offline and online financial products. These calculated the maximum, affordable monthly limit for each lending transaction. 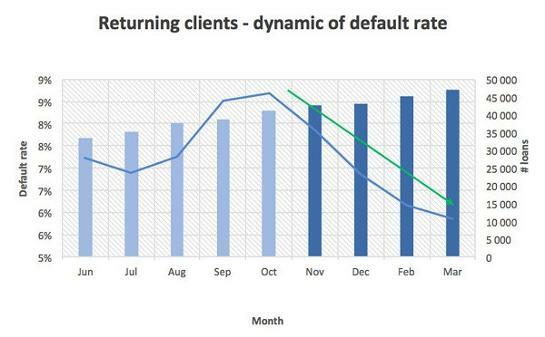 Models Library default, and fraud models were used as inputs to robo-underwriter to rank and segment clients based on profitability. Overall portfolio profitability was an important goal. 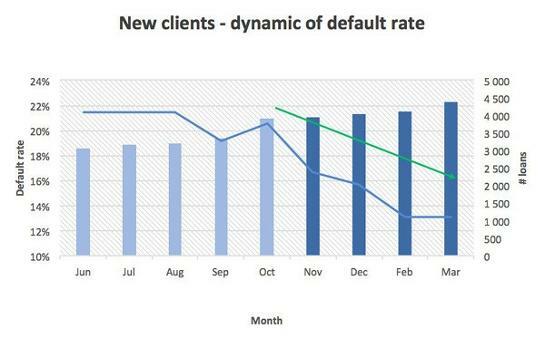 As well as optimizing profitability, the client wanted to keep acceptance levels as high as possible. 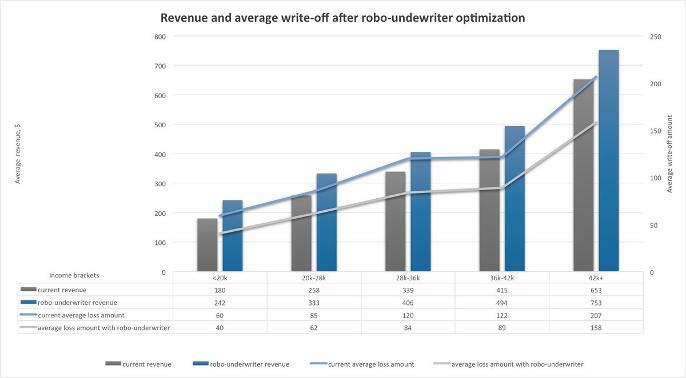 To achieve an optimum balance, a range of Models Library robo-underwriter inputs were used. These included Models Library default, fraud, affordability control, and limit management models for offline and online product lines. Uplifts generated were significant, as can be seen from the graph to the right. During Phase III online revenue for certain products began to exceed the offline revenue. This, in turn, allowed the client evolve other aspects of its business more rapidly, e.g. product innovation and differentiation. Operating costs were now decoupled from portfolio size growth. So the client was able to expand market share whilst containing costs and growing profitability. The client continues to innovate, periodically introducing additional Models Library models and increasing automation using Decision Engine A/I intelligent workflows.